Home International A disaster in Brasilia? If you scan the vanilla-red webpages of Venezuela’s “hegemonized” media, you might learn that Nicolás Maduro went to a Mercosur summit in Brasilia today. Speeches were given, documents signed, and nothing major came out of it. Irritated with the treatment [Brazilian] President Dilma Rousseff gave her Guyanese colleague, David Granger, the President of Venezuela left the Heads of State Summitt of Mercosur early. The Venezuelan delegation left before the luncheon given by the hostess this Friday, after statements by Granger regarding what he calls ‘provocations’ from Caracas, who is disputing a border area known as the Esequibo. It all began when Dilma met with Granger in a bilateral meeting moments before the summit began. Maduro had arrived earlier and tried to participate in the talks. The Brazilian President, however, did not authorize his entry into the meeting. During the meeting between Dilma and Granger, the President of Guyana asked for Brazil’s support in mediating a peaceful solution. Dilma accepted. Later, while the Venezuelan avoided mentioning the subject in his summitt speech, Granger, who spoke after the Venezuelan, cited the conflict. “The entire world recognizes our borders. Guyana was obstructed while trying to develop its own territory. Our neighbors expelled one of our oil exploration ships, and our economy has been paralized. 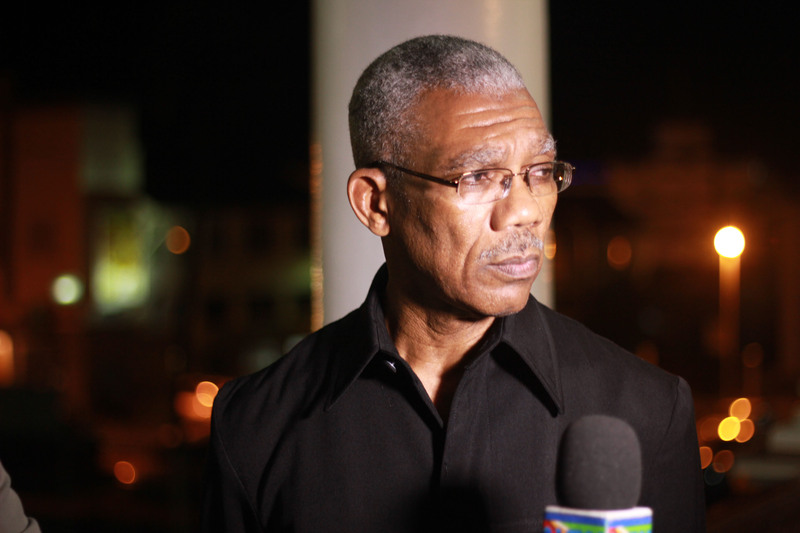 We have suffered tiresome provocations for many years,” said the Guyanese President. Apparently, after the lunch disaster Maduro said that he was perfectly fine with the rest of South America dipping their spoons into the Esequibo conflict. But is this a case of putting on a brave face in order to save it? After all, this is the first time that anyone other than the parties involved and the United Nations get directly involved in the conflict. And it doesn’t seem like this is happening because Venezuela wants it, but because Guyana insisted on it. In other words, Venezuela is being dragged into arguing about a bilateral border dispute … with a bunch of countries that have no stake in the matter. Maduro may try to spin this any way he wants, but this is not the outcome that Venezuela wanted.